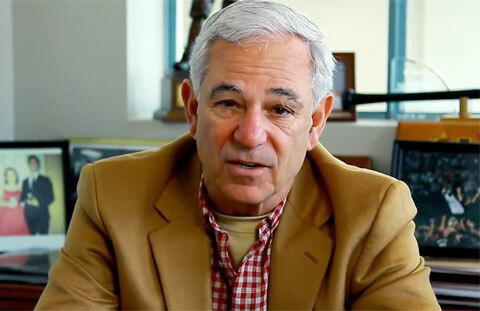 NEW HAVEN, CT. — Former Boston Red Sox Manager Bobby Valentine has been named the keynote speaker at the 136th Annual Banquet of the Knights of St. Patrick beginning with a social hour at 6 p.m. on March 17 at the New Haven Lawn Club, located at 193 Whitney Ave. The event will continue with dinner followed by Valentines speech. Photo shows MLB legend Bobby Valentine speaking with One World Sports on Jan. 27, 2014 about Masahiro Tanaka and his transition from the Rakuten Eagles to the New York Yankees. According to organizers, The annual dinner is a “festive, black-tie event that is a long-standing and historic tradition in New Haven.” The theme is always ‘Levity and Brevity,’ and a wonderful evening is had by all.” Tickets are $100 per person on or before March 10 & $110 afterwards. Bobby Valentine is a former MLB player and manager. He managed the Texas Rangers from 1985 to 1992 and the New York Mets from 1996 to 2002 and the Boston Red Sox in 2012. If you would like to book sports legends like Bobby Valentine for a speaking engagement, autograph signing, appearance, endorsement, charity fundraiser or corporate event, contact Bobby Valentine’s booking agent for appearance and speaker fees or call 1.800.966.1380.